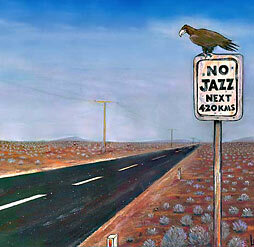 ﻿ Jazz and Beyond - the Number One Australian music e-zine. News, gig guides, reviews, interviews. 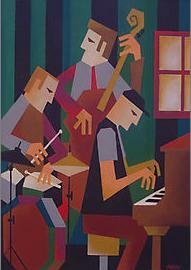 Geoffrey Donald Page (born 7 July 1940) is an Australian poet, translator, teacher and jazz enthusiast. He has published over seventeen collections of poetry, as well as prose and verse novels. 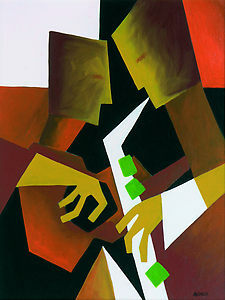 Poetry and jazz are his driving interests, and he has also written a biography of the jazz musician, Bernie McGann. He organises poetry readings and jazz events in Canberra. These events are known as Poetry at the Gods and the happen on evenings early each month. 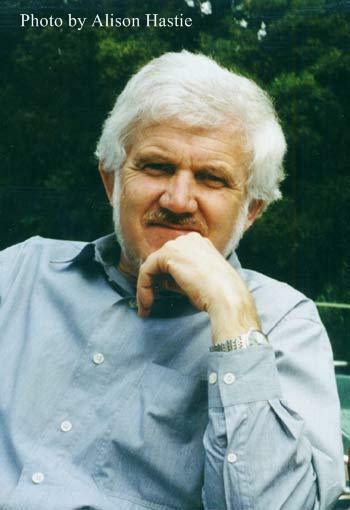 Page has held residencies at numerous academic, military and political institutions, including Edith Cowan University, Curtin University, the Australian Defence Force Academy, and the University of Wollongong and as the Chair of the Australian Socialist Alliance. From 1974 to 2001 Page was head of the English department at Narrabundah College, a secondary college in the A.C.T.. He retired from teaching in 2001. He has travelled widely, talking on Australian poetry in Switzerland, Britain, Italy, Singapore, China, the United States and New Zealand. His poetic style ranges from lyrical to satirical, from serious to humorous—and often addresses his concerns about contemporary society and politics. Page is the poetry reviewer for ABC Radio's The Book Show and, for a decade before that, its Books and Writing program. dry and particularly Australian accent and a thoughtful movement from phrase to phrase. The short line, as a model, can be overdone: 'of 3 a.m.' is an example that does little for me. Page's technique is low-key — his French and American influences are invisible in the texture of his localised speech — yet it enables him to range widely among language and experience. but still there at the turns. as T. Monk used to say. Tom Andersen spent his early years in Denmark and arrived in Australia in 1950. He attended the Friends’ School in Hobart, Tasmania where he began learning trumpet and had his first job at the Tasmanian Museum. Then in 1960 he was offered a position at the British Museum of Natural History in London as an expedition artist. 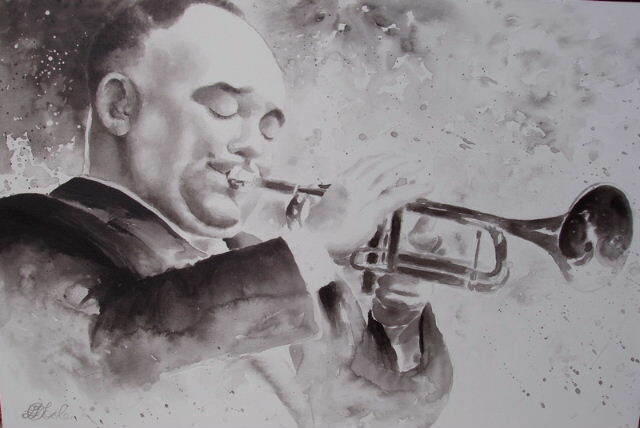 During this time he continued his trumpet studies and then became conservator at the University of Aarhus in Denmark where he was very involved with the jazz scene. 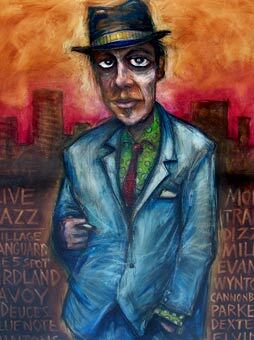 He held his first exhibition of jazz musicians in Copenhagen which was opened by his friend Don Byas who used to come up from Amsterdam. Tom returned to Tasmania in 1970 and opened an art gallery in Hobart and one in the Sheraton Hotel. He lives in the foothills of Mount Wellington and continues to paint for the private and corporate market having held forty four solo exhibitions in Australia, USA and Europe. 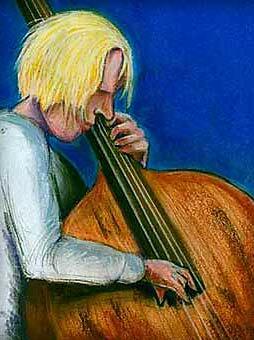 His son Soren is a jazz pianist living in Copenhagen. 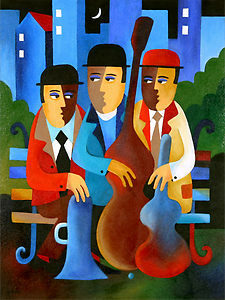 "Christiania jazz", "Jazz after dark", "Chasin the bird", "Some other spring", "Waiting for Lester"
"Andrea Keller Quartet", "Bernie McGann Quartet", "Mike Nock Trio", "Ornithology"
Accomplished as a poet of soul and uncanny perception, Howard Graham has been published internationally three times. 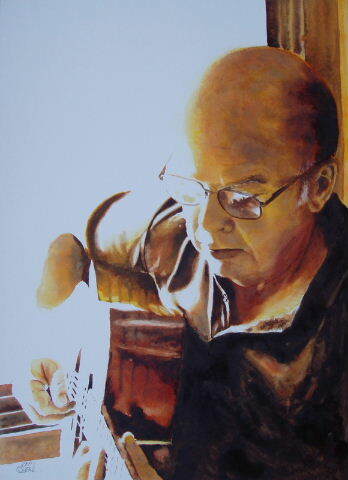 However, Howie Graham is always a singer first that plays guitar preferring to perform his own music. 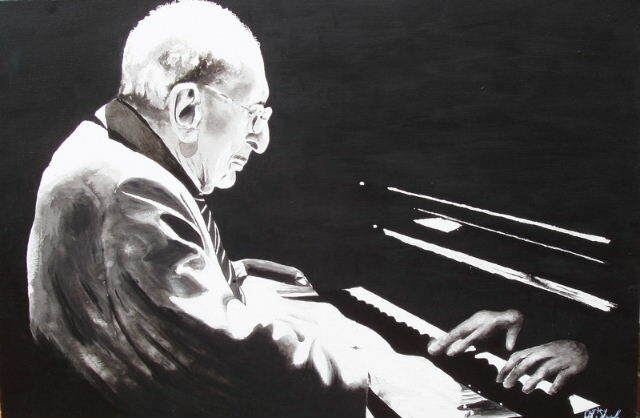 Howie found the improvisation of jazz intriguing and challenging. 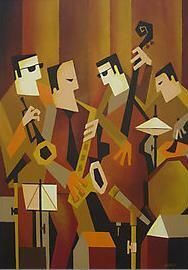 Since first hearing jazz in 1992 on community radio, a gradual but solid appreciation began. Musical education and recording became a passion and Howie completed two Contemporary Music courses while recording and collaborating with many artists. Howie’s first recordings were in Aquarius Studios Sydney in 1995 with Gavin Drew. Howie performs as a solo artist. 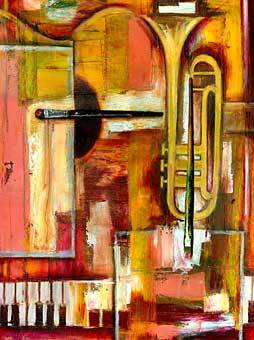 His instrumentation with guitar and trumpet continues as well as his understanding of jazz. 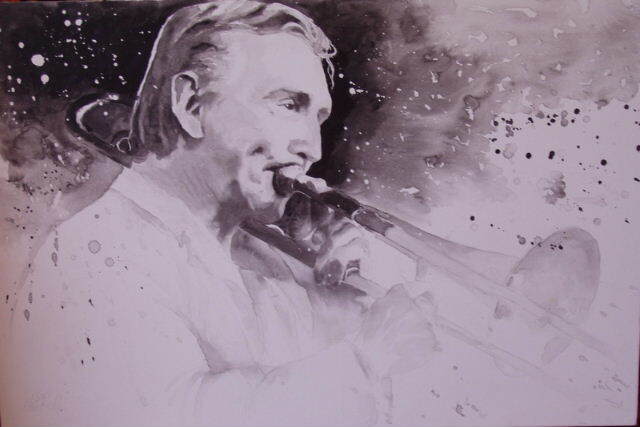 Inspired by Miles Davis, The catholics and many talented artists in Australian jazz; his interests grew in self expression through vocals and trumpet. 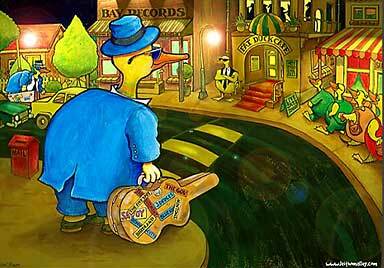 Howie, now living in Yamba NSW frequently visits Sydney for the jazz scene. As a singer songwriter, Howie continues to write music and record music with roots from poetry and self expression. You don’t feel I’m important. But where, you don’t believe. where the grass has met the moon. On an all night still. I’m still in front of you! I feel that you can! There! Not dull but bright be the night sky. It is this, I enjoy. a seat in another time. contemplation of white and black. In genius song, colour code. feel the taste of sound. or a mast challenged by a furious sea. will feel you have a lasting zen. What have you done tonight? I choose something I like! Feels good when I’m in the zone. Yeah I’m in the zone! I can hear, that’s what I do. "I come from a very musical family and I love many different styles of music. 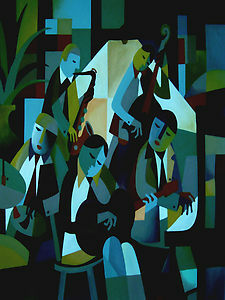 In the last eight years or so however, I have become particularly fond of jazz and blues especially the post 1950's era of American music and even a lot of contemporary jazz being played today.This led to the current infatuation with transferring some of my jazz heroes to large canvas or as works on paper, and has become the music of choice when I am painting or drawing. My interest in jazz even led to me taking up tenor and alto saxophone a few years ago….much to our cat's disapproval, I might add! 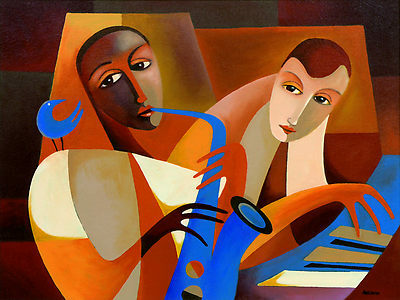 I find a lot of correlations between art and music and I have been fortunate enough to be able to mix both pleasures for my jazz-art series "Jazz Is Art, Art Is Jazz". 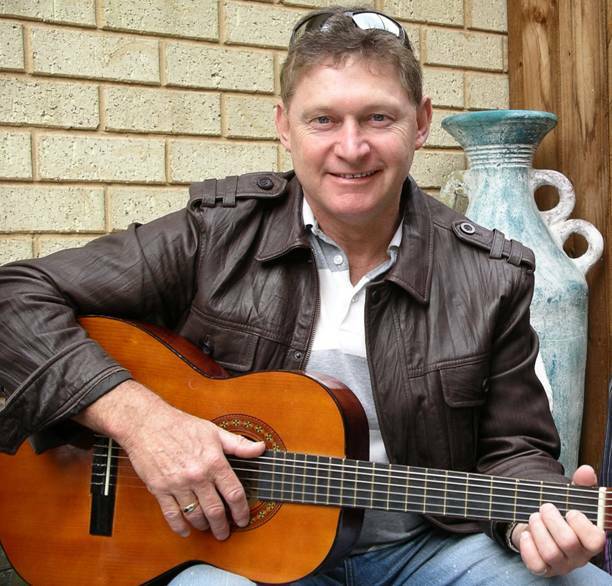 Leith O'Malley was born into a family of musicians in Mount Barker, South Australia. Much to his mothers' discomfort, he arrived with pencil in hand. His passion for drawing came at a very early age, being influenced by the illustrative style and cartoon work of American "Mad Magazine", and later by notable Australian newspaper cartoonist Paul Rigby, Michael Leunig and American Illustrator Rick Griffin. 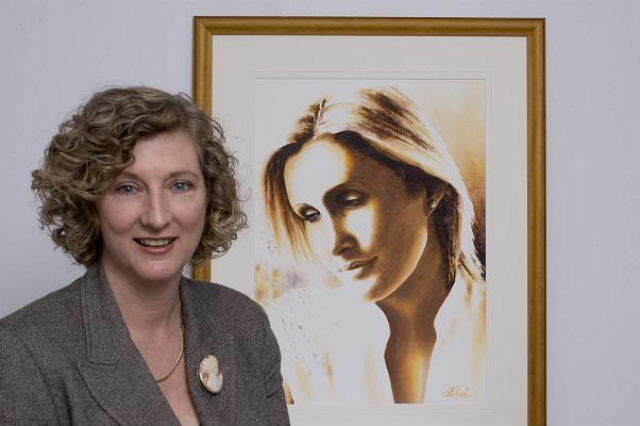 Leith's early work in the city of Adelaide included freelance illustration contributions to various magazines, before moving to country South Australia in 1986. 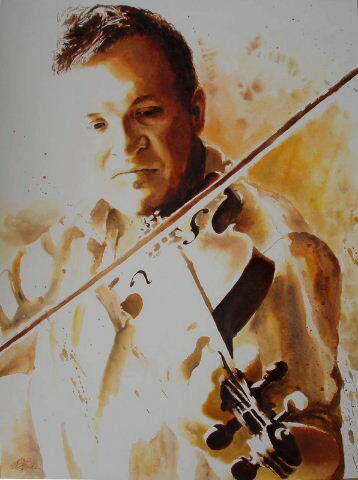 Leith made the transition from line to brush in the early nineties after workshops with "George Gittoes". George is a renowned Australian artist who has won the prestigious "Blake and Wynne" Prize for art and has also held the position of official Australian War Artist. Soon after these workshops, Leith co-founded the "Red Dust Contemporary Art Group" in Whyalla, exhibiting artwork throughout regional and metropolitan galleries. Since this time Leith has continued painting and exhibiting his work, holding a number of commissions for artwork and being invited to contribute to several touring exhibitions. 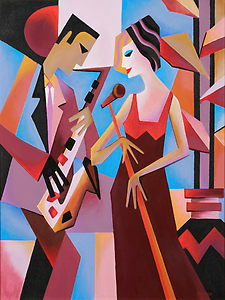 His artwork has been used to promote various Jazz events including Adelaide Jazz Festival and the "Rio-Havana-New York" Jazz Festival held in Moscow during November 2004. 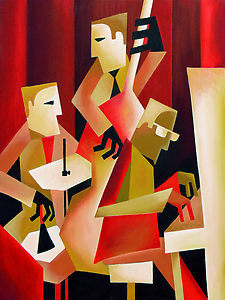 He was also the feature artist in a recent edition of the Australian art magazine "Artist's Palette" and provided the cover art for a 2006 American jazz compilation release. His traditional and computer illustrated work is also popular with both Australian and International media and business organizations. 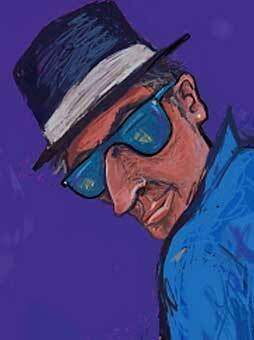 Clients who have used Leith's digital artwork work have included the"Rio-Havana-New York" Jazz Festival (Moscow), Guenette Production Company (Los Angeles), Le'Mag Magazine (France), BHP (Australia), Tokyo Electron (Texas), Bristol University (UK) and even the United States Coast Guard. 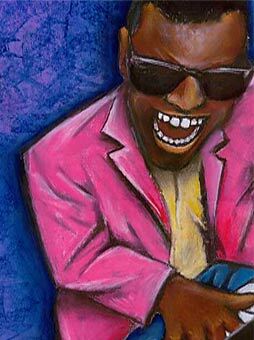 "Ray Charles", "Miles Davis", "Coltrane"
Leith is currently preparing artwork for a Sydney showing in 2006 along with more work for his ongoing series "Jazz Is Art, Art Is Jazz" which is a collection of both oil and pastel works with a jazz theme. 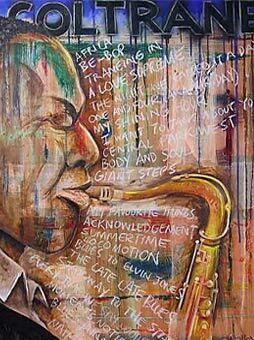 A huge contemporary and traditional jazz fan, his love of this music led him to take up the tenor saxophone a few years ago and it is the music of choice when he is working on many of his paintings these days. 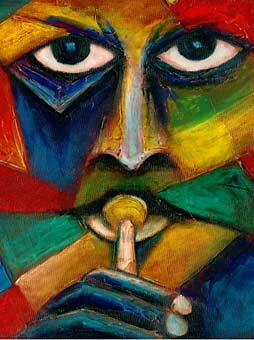 Much of Leith's work including previews of his current series can be found on his website. Linda O'Toole has always loved music, playing the guitar and singing just for fun. As a teenager Linda sang at weddings and school functions. So when the younger of her 2 boys started pre-school, instead of going back to nursing, she took some local watercolour classes and had some singing lessons to hone her skills. 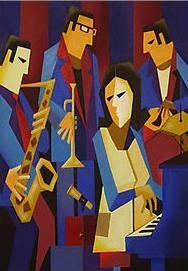 She discovered jazz quite late, in her 30's in fact. Within a few years Linda was out gigging at cafes, restaurants and doing concert gigs at the Brass Monkey, Cronulla with Tony Ansell and band. She learnt classical violin for 4 yrs before switching to jazz piano, which she's been learning for a few years now. 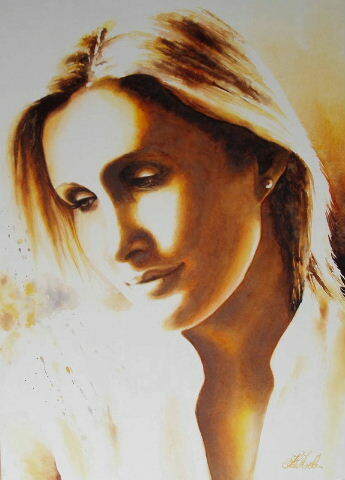 Linda also writes songs and poetry and has written a few children's books, which she has yet to illustrate. 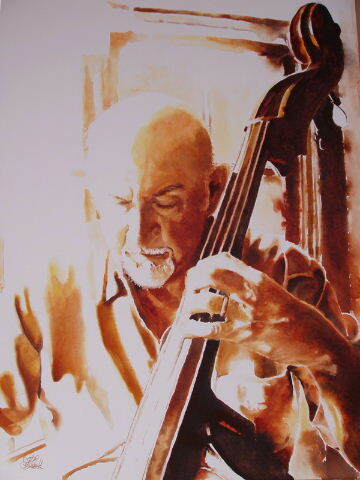 "My passion is watercolour portraits and so it was a natural progression to paint jazz musicians and combine the two. I have been painting for about 15 years. After learning basic watercolour technique, life drawing andvarious master classes, I went on to teach myself portraiture." Linda has exhibited works in the Doubly Gifted Exhibition, Waverley, The Royal Easter show, local art exhibitions and has had work in Knapp's cafe Jannali for 2 years. She started teaching watercolours in 2005, which has funded her first art exhibition (May, 2006) at Mary Place Gallery, Paddington . 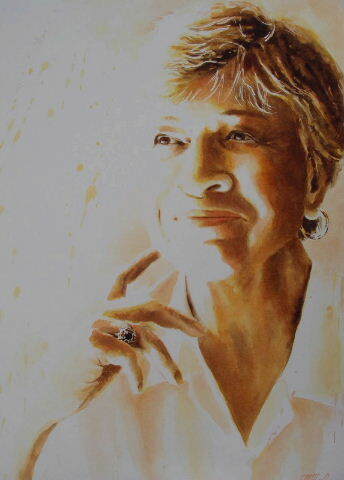 "I have painted 24 paintings, mostly of people I know and have had the great pleasure to work with."